Brand new but dry behind the ears already! STELA Laxhuber GmbH is exhibiting the RecuDry System at LIGNA 2017, its new heat recovery technology for drying biomass. 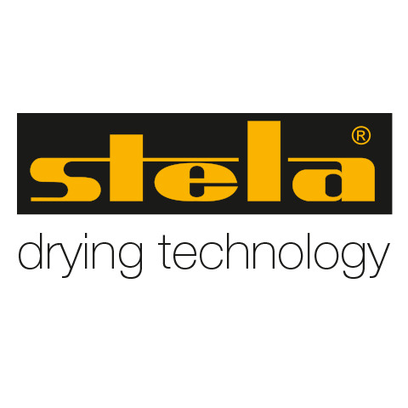 As an international company, STELA has a successful track record when it comes to drying biomass products on belt dryers. Indeed, it has been adding to its experience since the very beginnings of this sector and has played a key role in developing low-calorific heat technology. STELA is a market leader with more than 450 of its low-temperature belt dryers for biomass installed at plants around the world. The company is at LIGNA 2017 to show visitors how its new RecuDry system can make conventional dryer technology even more energy efficient. STELA promises energy savings of up to 35 or even 55 percent for new and existing plants, depending on the drying area available. The new RecuDry system is used to divide conventional technology into two drying areas - a Recu module and a condensation module. When drying air reaches the Recu module it is circulated and reheated to ensure it is optimally saturated. Some of this saturated air is then routed to the condensation module, where the largely latent energy it contains is then used to pre-warm fresh air. The key features of the system besides the potential energy savings are lower exhaust air volumes and emissions and the option of retrofitting the RecuDry system to existing plants.